Summary: Over a quarter of surveyed millennials said they would choose Bitcoin as an investment over stocks. How to talk to your millennials about cryptocurrencies. Watch out people! It seems research from the US Department of Health and Human Services finds high levels of cell phone radiation can result in malignant cancer tumors in the hearts of male rats. 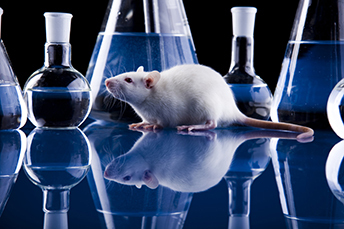 Interestingly, this did not occur in female rats, or in groups of mice that were tested. Clearly, more research is needed and is ongoing. No one is too sure what causes certain medical problems to be worse in some than others, so further analysis just makes sense. In banking, there is another form of testing going on around the world of cyber currencies. Lately, these things have been whipping around like crazy, losing huge chunks of their value one day and then bouncing back seemingly without reason. In what has become more of a gambling trip that never ends, new analysis finds many millennials see cyber currencies like Bitcoin as a more trusted investment than stocks or bonds. According to a late 2017 survey sponsored by Blockchain Capital, 27% of millennials said they would choose $1k worth of Bitcoin over an equal amount of value in traditional stocks and 30% said they would take the same $1k in Bitcoin over government bonds. Scarier still, respondents said they could earn more from cryptocurrency investing, and believed their money was just as safe as it would be at a big bank. What! The survey of Americans over the age of 18 underscores that Bitcoin awareness is almost 300% higher among the millennial demographic than with boomers. While 30% of Americans across all age categories classified themselves as at least "somewhat familiar" with Bitcoin, 42% of millennials said so vs. just 15% of people over age 65. While the provenance of this survey (a cryptocurrency and blockchain-oriented venture capital fund) may point toward a bit of Bitcoin bias, the general tenor is clear - millennials are far more likely to embrace new financial instruments and financial providers than previous generations. Talk to Millennials about New Technologies: It is little surprise that, in general, younger consumers are typically more apt to embrace new technologies. This is also true when it comes to managing money. Millennial consumers were 10x as likely as their boomer counterparts to "strongly agree" that Bitcoin is a positive innovation in financial technology (20% vs. 2%), according to the survey. In another study by CoinSpectator, 70% of millennials said they were unhappy with slow rising interest rates and the plodding pace of growth in typical bank savings accounts. Talking to millennial customers about their interests, explaining risks and discussing the latest developments in banking products and services will keep you looped in. Leverage An Aversion To Big Banks: The generation that came of age during the financial crash 10Ys ago has proven that it is more than a little skeptical of the stability of "too big to fail" institutions. But that does not necessarily mean millennials are willing to discount all banks. Right or wrong, millennials have come to believe that larger financial institutions provide them with less control over their money and, in many cases, may present just as much risk as a cryptocurrency. Community banks can use this disinclination for the megabank to their advantage and appeal to this younger demographic by offering a more trustworthy, dependable and local alternative. Educate Millennials On Cryptocurrencies: Given the millennial market's overriding interest in new and emerging financial instruments, community banks could provide a lot of much-needed support to this group about benefits and disadvantages of cryptocurrency. Case in point: The Blockchain Capital survey found that while 19% of Americans overall believe they will buy Bitcoin in the next 5Ys that jumps to 32% of millennials. As the purchasing power of these customers increases, there are likely to be far more people getting in on emerging financial instruments. Start positioning your community bank as a place for education and assistance to keep customers out of trouble. 1) Pacific Premier Bank ($8.5B, CA) will acquire Grandpoint Bank ($3.2B, CA) for about $641.2mm in stock (100%) or about 2.12x tangible book. 2) Mechanics Bank ($5.6B, CA) will acquire Scott Valley Bank ($692mm, CA) for an undisclosed sum. Jean-Claude Trichet, the former head of the European Central Bank (ECB), projects the US will slip into a recession after 2019, as global indebtedness rises above 300% of GDP and financial bubbles possibly begin to burst. Banking Exchange reports about 59% of millennials surveyed said they are afraid of the stock market. Meanwhile, 52% said it was due to the financial crisis, while 60% said they were worried about losing their money.